A man's word is his bond, but in Nigeria, the reverse is the case. Nigerian government is full of lies and deceit, there is no iota of truthfulness in them. 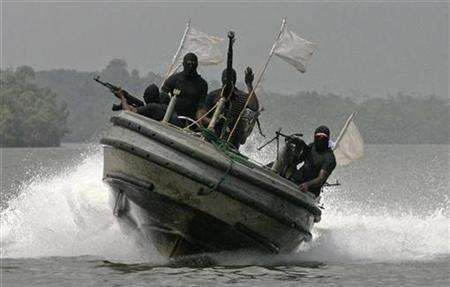 But not long after, the Nigerian Army and Navy invade Niger Delta communities with over 14 speed boat and warship, harassing the indigenes of the communities. In response to this, the NDA blew NNPC pipeline at oruk AKWA IBOM STATE. This development spike confusions as concern citizens where wondering if truly Avengers and Nigerian government are in any agreement of ceasefire. According to a tweet message on Tuesday by Niger Delta Avengers, which reads “The NDA High Command never remember having any agreement on ceasefire with the Nigeria Government". The activities of Avengers have dealt a huge blow to the revenue of the Nigerian government.